Since posting Part 1 and Part 2 of this blog entry, some other companies have come to my attention as working on improved microorganisms for ethanol production. This entry will add information about these companies and update the listing of companies published in the earlier entries. The following table lists the companies that that are developing engineered or modified microorganisms for the production of ethanol. Several of these companies are also developing other fuels, and those marked with asterisks have been profiled in other sections of the blog. The following additional profiles have been adapted or excerpted from company websites and/or other publicly available information, and I don’t assume any liability for the accuracy, comprehensiveness or use of the information. Arbor Fuel, Inc. is a technology company formed to utilize the power of biotechnology for the production of second generation alternative fuels. I had profiled Arbor in my blog entry on companies developing butanol-producing organisms, but the company is also developing modified microorganisms for commercial production of ethanol. I attended an interesting and entertaining seminar on February 25 presented by Arbor president and founder Steven Henck, hosted by the Yale & CURE Biohaven Entrepreneurship Series in New Haven, where I learned more about Arbor and its technologies. In addition to the activities relating to butanol that I described earlier, the company has developed laboratory yeast strains expressing heterologous genes allowing the digestion of cellulose to glucose, and the direct fermentation of 5-carbon sugars like xylose to ethanol, and has demonstrated efficacy of these strains at bench-scale. Dr. Henck said that the company is developing more robust industrial yeast strains carrying the same genes, which would be used in commercial ethanol production processes: cellulosic feedstocks would first be pretreated using conventional physical/chemical methods, and then the engineered yeast would be used to convert celluloses and hemicelluloses to ethanol. The company is currently seeking its B round of funding, which would be used in part to establish a pilot plant for ethanol production. BUTALCO GmbH, a Swiss company also profiled in my blog entry on companies developing butanol-producing organisms, is developing new production processes for both ethanol and butanol using lignocellulosic feedstocks. In late February 2010, Butalco announced that it will begin to use its proprietary new yeast technology to produce ethanol from agricultural waste in a pilot plant in southern Germany. The company says these microbial catalysts are capable of delivering up to 30% yield increases in cellulosic ethanol production. The company will use a pilot plant that was recently built by Hohenheim University of Stuttgart. Deinove is a French biotechnology company specialized in the development of breakthrough industrial microbial processes for the production of 1st- and 2nd-generation biofuels, chemical commodities and compounds of industrial interest using Deinococcus and other radio-resistant bacteria. Deinococcus species are unique in nature in that they can tolerate extremely high doses of radiation; high enough to kill most microorganisms. Deinove has shown that Deinococcus species “naturally” present most of the characteristics of an ideal microbe for producing ethanol cost-effectively, and the company is developing novel industrial processes that harness the natural and engineered biodiversity of Deinococcus and other so-called “super-resistant” genera. Deinove hopes that its proprietary processes could provide a powerful alternative (from industrial and environmental perspectives) to yeast, E. coli, Clostridia and many other micro-organisms used in industrial processes. According to its website, Deinove’s R&D strategy includes: identifying and patenting valuable properties of the Deinococcus genus; screening for candidate strains that overproduce ethanol, lactic, succinic, fumaric and butyric acid; enhancing the fermentation potential of these strains through genetic engineering and other evolution technologies (DNA shuffling, etc. ); and validating fermentation performance at pilot scale. Deinove has isolated ethanol-producing thermophilic strains capable of utilizing lignocellulosic biomass, together with Deinococcus strains that produce organic acids of industrial interest. All of these strains can be grown under favorable operating conditions (resistance to solvent, wide pH range, culture conditions). Deinove is exploring new synthetic pathways for molecules of industrial interest – pathways which could replace traditional, petrochemical-based processes or non-optimal biotechnological processes based on other micro-organisms. Deinove is developing molecular biology tools for engineering the candidate strains and providing them with the requested properties. It is quite intriguing to see a company focused on using Deinococcus microorganisms for biofuel production. This species, because of its uncanny ability to withstand such high doses of radiation, has often been discussed as a possible host organism for remediation of mixed wastes comprising both hazardous and radioactive materials, but in spite of considerable research interest in these unusual bacteria, they have not been used in any meaningful commercial way to my knowledge. It will be interesting to follow Deinove’s progress with the use of this organism for ethanol production. Verdezyne, Inc., a company profiled earlier in my blog entry on biodiesel and other fuels, is developing genetic engineering techniques and processes for producing industrial chemicals and fuels from microorganisms. In addition to the activities profiled in the earlier entry, Verdezyne is developing modified microorganisms for ethanol production. In this entry, I’ll profile companies that are using advanced biotechnology to improve microorganisms for production of fuels other than ethanol and butanol. Primarily, these include hydrocarbon or fatty acid based fuels that, when produced from a biological source, resemble or duplicate the chemical composition of common petroleum-based fuels, in particular diesel fuel and jet fuel. Much of the interest in alternate biological technologies has been directed towards diesel fuel. Petroleum-derived diesel fuel is produced from the fractional distillation of crude oil, resulting in a mixture of carbon chains that typically contain between 8 and 21 carbon atoms per molecule. The biological alternative, generally called “biodiesel”, can be manufactured from any of numerous sources, including algae, plant biomass, vegetable oil or even animal fats. Biodiesel is usually composed of a mixture of fatty acid methyl esters, with the final product created by a transesterification reaction. Most biodiesel consists of alkyl (usually methyl) esters instead of the alkanes and aromatic hydrocarbons of petroleum derived diesel, but because biodiesel has similar combustion properties to petrodiesel, it has been used as a substitute for diesel fuel, and it is widely believed that newer technologies for biological production of diesel can play an important role in the world’s portfolio of renewable fuels. Recent years have also seen enhanced interest in the possibility that petroleum-derived jet fuel and possibly other transportation fuels can instead be produced by biological systems in large quantities at commercially-viable costs. The term jet fuel refers to a type of aviation fuel designed for use in aircraft powered by gas-turbine engines. There are many different types of jet fuels used for commercial or military aviation, that are produced to a number of standardized international specifications. Jet fuel is typically a mixture of many different hydrocarbons, with size ranges that are specified by the requirements for each product. For example, kerosene-type jet fuel (including Jet A and Jet A-1) includes molecules having between about 8 and 16 carbon numbers; wide-cut or naphtha-type jet fuel (including Jet B), between about 5 and 15 carbon numbers. It is possible to produce these different jet fuels biologically, by selecting or designing organisms (generally algae or microorganisms) capable of producing the desired mixture of hydrocarbons, or the fatty acids that can be converted into hydrocarbons. Interest in biologically-derived jet fuels seems to have increased dramatically in recent months, with several airlines, including such as Continental, Virgin Atlantic, Japan Airline, and KLM conducing highly-publicized test flights using jet biofuels, and with the announcement of several high-profile research collaborations relating to microbial, algal or biomass-based production of jet fuel. Both the U.S. Department of Energy, through its National Renewable Energy Laboratory, and the Defense Advanced Research Projects Agency have devoted their attention and funding to the development of biological methods for production of jet fuel. It seems that commercial interest in biodiesel, jet biofuels, and similar fuels is gaining momentum in recent years, so that there is a real chance that these bio-based fuels can begin to claim a small but significant market share within the next several years. Many companies and individuals have been producing biodiesel for years, but these have generally been small-scale operations, using locally collected organic wastes or other biomass, which generally produce and sell fuel for use only within their immediate geographic area. So, as always, the key to major commercial success will be whether biological production methods can be scaled-up to large, commercial-size production for regional or national distribution at a cost that allows the fuel to be sold at a price competitive to petroleum-derived fuels. If that can be achieved, as seems possible at the moment, the companies producing biodiesel and jet biofuels may meet commercial success. The companies I’ll describe below are ones that are focusing their attentions on using microorganisms (generally bacteria) as the production platform. It is important to note that similar goals are being pursued by many of the algae companies that I’ll be profiling in a later entry in this blog. Use of algae for such applications has the advantage of fitting into the established infrastructure and technology for growing algae and processing its products for fuel use; however, in the long term, use of microorganisms may be favored because fine-tuning the fatty acid or hydrocarbon output of an organism is best done using metabolic engineering, synthetic biology, and other advanced methods that are currently more feasible in bacteria than they are in algae. But then again, one of the more prominent firms using synthetic biology to enhance fuel production is Synthetic Genomics, whose R&D is believed to be directed more towards algae than bacteria. It is noteworthy that almost all of the biofuel companies specializing in the use of synthetic biology and similar technologies are directing their efforts to producing biodiesel, jet biofuels, or similar fuels, because such technologies seem so well-suited to create the “designer organisms” needed to produce these fuels. Overall, this is a sector where commercial success seems likely for many of the companies active in the sector, although the timeframes here are likely to be longer than for cellulosic ethanol or even butanol. The following are the companies developing modified microorganisms for production of biodiesel, jet fuel and related fuels (some of these companies are also developing other fuels, including ethanol, as noted in their profiles). The following are brief profiles of companies that are developing engineered or modified microorganisms for the production of biodiesel, jet biofuels or fuels other than ethanol or butanol. These profiles have been adapted or excerpted from company websites and/or other publicly available information, and I don’t assume any liability for the accuracy, comprehensiveness or use of the information. Amyris Biotechnologies, Inc. is an integrated renewable products company whose strategy is to combine technology, production and distribution with the goal of commercializing and scaling products across the supply chain. Amyris applies synthetic biology to produce a broad range of products, and combines this technology with growing scale up and production capabilities through its subsidiary, Amyris Brasil Pesquisa e Desenvolvimento, Ltda. Amyris is developing fuels it calls No Compromise© fuels – renewable fuels that it says will demand no sacrifice in performance or penalty in price, and will offer a superior environmental profile by reducing lifecycle (GHG) emissions of 80% or more compared to petroleum fuels. They are also delivered to consumers using existing petroleum distribution infrastructure and work in today’s engines. Amyris technology makes it possible to alter the metabolic pathways of microorganisms such as yeasts, creating living factories that produce molecules with practical applications. The company’s proprietary technology transforms plant-based feedstocks, such as sugarcane, into 50,000 different isoprenoids –molecules used in a wide variety of energy, pharmaceutical, and chemical applications. The company is developing biodiesel fuels that are expected to work well even at low temperatures, not clog filters, and be stored for a long period of time without degradation. Amyris says that its fuels will solve many of the performance challenges, such as cold flow and stability, associated with conventional biodiesels. The company is also developing a renewable jet fuel which it plans to commercialize as early as 2012. The company says that this fuel performs well at low temperatures, can be produced in the US at competitive economics using sugar cane as a feedstock, and meets initial certification criteria. In November 2009, Amyris Biotechnologies announced that it has secured patent protection for its entire line of diesel, jet and gasoline renewable fuel products which have been registered by the U.S. Environmental Protection Agency. Amyris has operated a pilot plant in Campinas, São Paulo, Brazil since the fall of 2008, and plans to commercialize its renewable products starting in 2011. Codexis, Inc. uses DNA shuffling to customize “super” enzymes capable of selectively and efficiently performing a desired chemical process, for application to production of cellulosic biofuels and other products. Starting with a diverse set of genes that encode for variations of the enzyme catalyst, Codexis recombines, or shuffles these DNA sequences to create new variants. Using sophisticated high-throughput screening methods, novel biocatalysts with desired improvements are selected and these improved variants can then be put through the process again until a highly efficient biocatalyst is created that meets or exceeds targeted performance characteristics. Codexis has a long term collaboration with Royal Dutch Shell to develop enhanced methods of converting non-food biomass to advanced biofuels. The collaboration began in 2006 and was expanded in 2007 and again in 2009. Shell is the leading worldwide distributor of biofuels. Codexis is using its biocatalytic approach to find critical pathways for developing economically feasible alternative transportation fuels from renewable resources. In December 2009, Codexis announced plans for an initial public offering, reportedly seeking up to $100 million in funding. Joule Biotechnologies, Inc. is tackling the global energy crisis with what it calls a “game-changing” renewable alternative to transportation fuels. Its patent-pending Helioculture™ technology is designed to overcome the limitations of biomass-derived fuel approaches by using sunlight to convert CO2 directly into liquid energy products under the trade name Joule™. Founded in 2007 by Flagship Ventures, Joule is privately held and headquartered in Cambridge, Massachusetts, and is using synthetic biology to design and create organisms to meet these goals. Joule recently announced proof of concept for its development of renewable fuels, achieving direct microbial conversion of carbon dioxide (CO2) into hydrocarbons via engineered organisms. The company’s photosynthesis-driven approach avoids the economic and environmental burden of multi-step, cellulosic or algal biomass-derived methods. The company employs a novel SolarConverter™ system, together with proprietary, product-specific organisms and state-of-the-art process design, to harness the power of sunlight while consuming waste CO2. The company says that this technology platform has been proven out with the conversion of CO2 into ethanol at high productivities. The breakthrough was made possible by the discovery of unique genes coding for enzymatic mechanisms that enable the direct synthesis of both alkane and olefin molecules – the chemical composition of diesel. Production was achieved at lab scale, with pilot development slated for early 2011. The Joule SolarConverter™ system was engineered to maximize productivity and photon yields with the potential to deliver more than 20,000 gallons of Joule™ ethanol and more than 13,000 gallons of Joule™ diesel per acre per year. It facilitates the entire process in one integrated system: optimizing conditions for the organisms, capturing sunlight, and converting and initially separating the product into specification fuel with far fewer polishing operations than petroleum or biomass-derived approaches. The SolarConverter™ system applies sophisticated optical and thermal engineering to allow its deployment on just minimal amounts of non-agricultural land, and it requires no fresh water. Its modular design means that the same system demonstrated in the laboratory today can easily move to wide-scale production, by adding interconnected assemblies to any size based on land, CO2 availability and desired output. In January 2010, Joule announced the signing of a lease agreement to build its first pilot plant in Leander, Texas, where the company will further develop and test its transformative system for the production of renewable solar fuels, beginning with ethanol. The company expects this plant to be operational within six months. LS9, Inc. is a privately-held industrial biotechnology company based in South San Francisco, California that is using synthetic biology to develop patent-pending UltraClean™ fuels customized to closely resemble petroleum fuels and engineered to be renewable, low-carbon and cost competitive with crude oil. LS9 UltraClean™ products are a family of fuels produced by microorganisms (trade named DesignerMicrobes™) the company has created using synthetic biology. LS9 has perfected a one-step fermentation process that uses patent-pending microorganisms to efficiently convert renewable feedstocks to a portfolio of “drop in compatible” UltraClean™ fuels and sustainable chemicals. LS9 has developed a novel method of efficiently converting fatty acid intermediates into petroleum replacement products via fermentation of renewable sugars. The company has also discovered and engineered a new class of enzymes and their associated genes to efficiently convert fatty acids into hydrocarbons. Starting from low-carbon, natural sources of sugar such as sugar cane and cellulosic biomass, the company hopes these renewable fuels will fundamentally change the transportation fuels landscape and set the stage for petroleum displacement. LS9 UltraClean™ fuels have higher energetic content than ethanol or butanol and have fuel properties that are essentially indistinguishable from those of gasoline, diesel, and jet fuel. LS9’s technology provides a means to genetically control the structure and function of its fuels, enabling a product portfolio that meets the diverse demands of the petroleum economy. The company has operated a pilot plant at its South San Francisco headquarters since August 2008. LS9 has the financial backing of venture capital firms Flagship Ventures, Khosla Ventures, and Lightspeed Venture Partners, as well as funding from Chevron Technology Ventures. LS9 has a partnership arrangement with Procter and Gamble, one of the world’s largest consumer products companies, to jointly develop and commercialize LS9 technology for use in the production of key consumer chemicals. The company also has a research and development collaboration with Lawrence Berkeley National Lab – Joint BioEnergy Institute at University of California – Berkeley. In January 2010, LS9 announced that a collaborative team of researchers from the company, the University of California at Berkeley, and the U.S. Department of Energy’s Joint BioEnergy Institute (JBEI) have developed a microbe that can produce an advanced biofuel directly from cellulosic biomass in a one-step process. Using the power of synthetic biology, the team of researchers engineered a microbe that consolidates advanced biofuels production and cellulosic bioprocessing for the first time. This breakthrough enables the production of advanced hydrocarbon fuels and chemicals in a single fermentation process that does not require additional chemical transformations. In February 2010, the company announced the acquisition of the former Biomass Processing Technology production facility in Okeechobee, Florida, which will be retrofitted for production of LS9 UltraClean™ Diesel fuel, with production slated to begin in late 2010. Sequesco is developing technology that addresses the two major global energy problems – the rising levels of greenhouse gases in the atmosphere and our continued reliance on non-renewable fossil fuels. Sequesco uses a microbial process to capture carbon dioxide emissions from industrial flue gases and convert the emissions into biomass which is a feedstock for biofuel. Unlike algal or agricultural approaches to capturing carbon dioxide for biofuel production, Sequesco’s technology does not rely on photosynthesis. This gives it greater potential to scale to meet the world’s growing energy needs without posing a threat to food production or natural habitats. Verdezyne, Inc., founded in 2005 as CODA Genomics, a spin-out from the University of Irvine, California, is developing genetic engineering techniques and processes for producing industrial chemicals and fuels from microorganisms. Verdezyne employs its biological expertise and proprietary advanced computational algorithms to design and synthesize novel, high-diversity gene libraries for engineering proteins, metabolic pathways, and microorganisms. Verdezyne creates and harnesses this unique biological diversity to optimize commercial fermentation processes for the production of petrochemical replacements. The company’s technology platform includes proprietary metabolic pathway models, algorithms for protein design, a patented method for self-assembling synthetic genes and translational engineering tools that optimize the expression of these genes in recombinant microbes. The company has applied these technologies to ethanol fermentation, and they claim they have been able to achieve high yields and lower costs for the process. The company is also engineering new pathways to enable the biological synthesis of a number of chemical targets as petrochemical replacements. Verdezyne has entered into an agreement with Novozymes, a biotech-based world leader in enzymes and microorganisms. Under the arrangement, Verdezyne will optimize selected genes that encode industrial enzymes. These enzymes will then be manufactured in microbial systems. Verdezyne has raised nearly $3 million of a planned $15.2 million round of venture capital, and has been awarded a $1.7 million Small Business Technology Transfer grant, which will be used to develop gene libraries for its computational and bioinformatics programs. Butanol is increasingly being discussed as a possible gasoline blendstock, to be used as an alternative to ethanol in meeting government mandates for clean air standards and renewable fuel obligations. Butanol is a 4-carbon alcohol that can be produced by fermentation using the same or similar feedstocks as used in ethanol production, and this, along with some of its favorable properties, has led to considerable attention as the biofuel industry has developed in recent years. Historically, beginning in the early decades of the 20th century, butanol was produced through the “acetone-butanol-ethanol” (ABE) fermentation process, which used different species of microorganisms of the genus Clostridium to convert feedstocks such as corn and molasses. Although first used in Britain during World War I to produce acetone, the ABE process later came to be used for the manufacture of butanol for the U.S. automobile industry, where it became an important chemical solvent as well as an ingredient for paints and surface coatings. Beginning in the 1950’s chemical production methods began to predominate, based on advances in petrochemical technology and the falling price of oil, and today, almost all the world’s butanol is manufactured using petrochemical processes. Many observers feel that butanol overcomes many of the problems associated with the use of ethanol as a transportation fuel. Because butanol has a higher molecular weight than ethanol, it has lower vapor pressure, lower water solubility and most importantly a higher energy density. The low vapor pressure and lower water solubility mean that it can be more easily added to gasoline than ethanol. It is less corrosive than ethanol and so can be more easily transported in pipelines and used in vehicle engines in higher blend concentrations than ethanol without the need for extensive modifications; current standards in the U.S. and Europe allow a greater concentration of butanol in gasoline than is allowed for ethanol. As noted above, biobutanol can be produced from the same organic feedstocks as ethanol, including conventional feedstocks like sugar cane, sugar beet or corn, and possibly also lignoceullulosic biomass from grasses, agricultural byproducts and other sources. Butanol can also be manufactured in facilities built for ethanol production. It has been asserted that some production technologies for biobutanol capture more biomass as fuel than is the case for fermentation of ethanol (that is, the butanol processes lose less of the organic carbon to CO2 than do ethanol fermentations). And at least one biobutanol producer believes that use of butanol as a fuel delivers greenhouse gas emission reductions that are at least as good as those seen with the use of ethanol. Butanol can also be used as a feedstock for biobased materials, including renewable hydrocarbons, chemicals and plastics. Butanol has potential disadvantages as well. It is more toxic than ethanol and is reported to have a bad odor when hydrolyzed. Perhaps more importantly, while there are decades of experience in the use of ethanol in transportation fuels both as a blendstock and as a primary fuel, butanol has no such history. In spite of butanol’s long industrial usefulness as a solvent and for other purposes, it is far from clear whether it will be accepted by the transportation industry as a mainstream alternative fuel. In view of the potential for butanol to serve as a renewable fuel in place of ethanol, there has been a resurgence of interest in developing improved fermentation approaches to the production of this chemical. In this entry of the blog, I’ll profile the companies that are known to be using advanced biotechnology to improve the fermentation processes that can be used to produce butanol or related molecules like isobutanol. It is hard to venture a guess at this time whether butanol will be successful in the marketplace either in its own right or as a replacement for ethanol. On the one hand, it is able to, and seems well-poised to, take advantage of the existing infrastructure for the production and distribution of ethanol, but the lack of a track record of its use as a transportation fuel will likely lead to a more difficult path to widespread market acceptance. Commercial production capacity for biobutanol seems to be coming online relatively rapidly (as I’ll discuss below), and the presence in the market of major players like DuPont and British Petroleum should guarantee that appropriate attention will be given to butanol’s potential as a transportation fuel. It is therefore possible to guardedly predict ultimate market success, but possibly only after a long “adoption” period as the market adjusts to this new role for butanol. The following are the companies developing modified microorganisms for production of butanol, isobutanol, or related fuels. Several of these companies are also developing other fuels, and those marked with asterisks have been, or will be, profiled in other sections of the blog. The following are brief profiles of companies that are developing engineered or modified microorganisms for the production of butanol, isobutanol or related fuels. These profiles have been adapted or excerpted from company websites and/or other publicly available information, and I don’t assume any liability for the accuracy, comprehensiveness or use of the information. Arbor Fuel, Inc. is a technology company formed to utilize the power of biotechnology for the production of second generation alternative fuels, particularly butanol. Arbor is taking advantage of recent advancements in the understanding of microbiological processing of cellulose based plant material to engineer microbial strains and biological processes to convert cellulosic material into renewable bio-based fuel. The company’s strategy is to couple biotechnical approaches with advanced metabolic engineering technologies to create strains for cost effective generation of fuel from plant material. The company’s main area of focus is the development of microbial strains and processes to produce butanol from biomass. These patented microorganisms will use biomass as an environmentally sensitive and economically sensible feedstock for fuel production, and will be used in commercial biorefineries to generate long-term revenue either directly by Arbor Fuel or through partnerships with established commercial biofuel producers. Arbor Fuel has already developed a yeast strain that can grow on and digest cellulose and produce ethanol at greater than 90% of the theoretical maximum yield. The company is currently in the process of engineering new yeast strains that will produce butanol, maximizing on the latest in molecular biology technologies while utilizing well-understood processes and techniques. BUTALCO GmbH, founded in August 2007 with headquarters in Zug, Switzerland, is developing new production processes for second generation biofuels and biochemicals based on lignocellulose. The company’s core technology based on genetically optimized yeasts enables increased yields in bioethanol production and the production of biobutanol. BUTALCO is developing a new process that would use C5/C6 sugars for fermentation of both ethanol and butanol, and is working together with its partners to develop an integrated lignocellulose-based bioethanol/biobutanol production process. This new process would cover the whole production chain including all steps from lignocellulose hydrolysis to downstream processing. BUTALCO has secured a first round of external financing from Volkswind GmbH based in Ganderkesee (Lower Saxony), Germany. Butamax™ Advanced Biofuels was formed in 2009 by BP and DuPont to develop biobutanol, an advanced biofuel which the company expects will provide improved options for expanding energy supplies and accelerate the move to renewable transportation fuels. Butamax combines BP’s expertise in fuels technology, development and infrastructure with DuPont’s leading capabilities in biotechnology. The company’s near term focus is be to develop a technology program to produce biobutanol from many different types of feedstocks, including sugar and starch feedstocks and lignocellulosic feedstocks, at a price that is competitive with ethanol. In the future, Butamax expects to license the technology to produce biobutanol to other biofuel producers. The company will also work with fuel blenders and distributors globally to introduce biobutanol into the fuels market. The technology program will focus on how to produce biobutanol. Butamax intends to work closely with Kingston Research Limited to demonstrate production of biobutanol at a technology demonstration plant in the UK. In October 2009, DuPont received a $9 million ARPA-E grant to develop Biomass Energy Production of bio-butanol from macroalgae (seaweed). Cobalt Biofuels is developing innovative technologies to enable the next generation of biofuels. The company has assembled leaders in microbial physiology, strain improvement, fermentation and separation technologies, to make possible a new generation of fuels that burn cleaner, are more cost-effective, and have a smaller environmental impact than existing petrochemical-derived fuels. Cobalt has developed proprietary, high-throughput processes for identifying and engineering the optimal microbial strains for converting a given plant material to alcohol fuels. This innovative technology makes it possible to process a range of feedstocks in the production of biobutanol and other high energy density biofuels. Cobalt’s current portfolio of technologies is aimed at advancing the commercial production of biobutanol from plant material. By optimizing fermentation productivity, yield, and titer, Cobalt hopes to make biobutanol a viable and economic transportation fuel. Gevo Inc. is developing biological technologies to produce biobutanol for use as a gasoline blendstock. The company characterizes its approach as comprising three critical pieces of technology for the efficient and cost-effective production of advanced biofuels on a large scale. These are: (a) “Protein Engineering of Biocatalysts” to convert agricultural waste products into different types of renewable, alcohol-based, liquid fuels like butanol; (b) “Metabolic Engineering of Suitable Host Organism” to engineer suitable host organisms to efficiently produce fuel at increased yield and productivity sufficient for large-scale manufacture of commodity chemicals and fuels; (c) Process Engineering, a proprietary process technology to enhance productivity and lower product separation cost. Gevo has partnered with Cargill to give Gevo exclusive rights to integrate Cargill’s proprietary microorganisms into its Integrated Fermentation Technology (GIFT®) process for the production of butanols from cellulosic sugars derived from biomass such as corn stover, switchgrass, forest residues, and other sustainable feedstocks. On November 13, 2009, Gevo announced that it has been awarded $1.8 million from the U.S. Departments of Energy and Agriculture’s Biomass R&D Initiative to help fund ongoing development of its yeast strain to produce biobutanol from cellulosic biomass, in this partnership with Cargill. Gevo has also entered into a strategic alliance with ICM for the commercial development of the GIFT® process for the production of isobutanol and hydrocarbons from retrofitted ethanol plants. Gevo, has announced the start up of a biobutanol demonstration plant designed from retrofitting an existing demonstration scale ethanol plant. The company has claimed successful production of biobutanol at this 1 million gpy pilot plant in St. Joseph, Missouri., Gevo will be ICM’s exclusive technology partner for the production of butanols, pentanols and propanols. Green Biologics Limited is a revenue-generating industrial biotech company based in Oxfordshire, U.K. aiming to become the world’s leading supplier of advanced fermentation technologies for conversion of biomass to renewable fuels and chemicals. 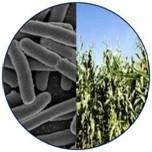 One focus is on butanol, produced by microbial fermentation of sugars derived from biomass. GBL has isolated a cocktail of thermophilic (heat-loving) microorganisms for rapid enzymatic hydrolysis and release of fermentable sugars from biomass. Thermostable enzymes offer a faster, cleaner and more efficient process for biomass hydrolysis resulting in cost savings. GBL plans to integrate its patented hydrolysis technology with its proprietary biofuel fermentation process offering a reduction in both feedstock and manufacturing costs. GBL has developed superior butanol producing microbial strains using genetic engineering and will integrate these strains into a novel fermentation process. This technology advance should result in a step change in the economic viability of the fermentation. METabolic Explorer, S.A., founded in 1999 and based in Clermont-Ferrand, France, is a green chemistry company that develops and patents innovative, fermentation-based industrial processes. The company’s processes are designed to use renewable resources to provide an alternative to petrochemicals for producing the bulk chemicals that are used in many everyday products. METabolic EXplorer is using its combined expertise in molecular biology, metabolic engineering and bioinformatics to design high-performance microorganisms that can transform plant-derived raw materials into an existing bulk chemical. METabolic EXplorer is developing a flexible and competitive fermentation process for butanol production. Butanol can be produced directly by fermenting starch, sugar, sugar cane juice, molasses and even hemicellulose. TetraVitae Bioscience, Inc. is developing biobased chemicals, plastics, and fuels. The company’s proprietary technology and expertise in the fields of industrial fermentations, process engineering, microbiology, and cellulosic feedstocks are aimed at dramatically lowering the costs of production, providing the basis to compete with and replace petroleum-derived products. TetraVitae’s focus is the production of biobutanol using a proprietary fermentation process and an enhanced microorganism platform. The company’s biobutanol technology has demonstrated significant improvements over conventional approaches and the company’s innovations have dramatically improved the efficiency of the historical microbial process that has been used for butanol production. TetraVitae has patented a mutant strain of Clostridium beijerinckii that produces higher levels of butanol than wild-type strains and that is known for its stability, robustness, and responsiveness to genetic modification and improvement. This strain selectively produces high levels of butanol relative to any other known strain. An additional advantage of C. beijerinckii is the fact that the solvent-producing genes are located on the chromosome (rather than on the plasmid as is the case with some other species). This has the effect of making C. beijerinckii more genetically stable – an important requirement of a commercial deployment. Results from the current bench-scale integrated process demonstrated significant improvements in final solvent concentration, yield, and productivity over batch production methodologies. TetraVitae is actively developing a microorganism platform that will have high yield on feedstock, high final product concentration (with reduced product inhibition), high selectivity for butanol production, and the ability to use low-cost feedstocks. These efforts will contribute to significant additional production cost reductions. The following are brief profiles of companies that are developing engineered or modified microorganisms for the production of ethanol. These profiles have been adapted or excerpted from company websites and/or other publicly available information, and I’m not responsible for the accuracy, comprehensiveness or use of the information. BioEnergy International, LLC is a privately-held company using genetically modified microorganisms to develop and commercialize next generation biorefineries for the production of high-value bio-based chemicals and fuels from renewable feedstock. BioEnergy has developed cellulosic technology capable of economically converting cellulosic feedstocks into fermentable sugars, which are used by the company’s multi-product biorefinery, that will convert low-cost sugars into targeted, high value renewable biochemicals and biofuels, including ethanol and other fuels. In 2009, BioEnergy announced the formation of Myriant Technologies LLC to incorporate all of its biobased chemicals business and intellectual property including development of polylactic acid and other chemicals . BioEnergy is building a 110Mgpy biorefinery at the Clearfield Technology Park in Clearfield County, Pennsylvania, and has begun work on a larger facility in Lake Providence, Louisiana. DuPont Danisco Cellulosic Ethanol, LLC (DDCE) is developing end-to-end production solutions for cellulosic ethanol. DDCE was formed in 2008 as a joint venture of DuPont, an international leader of chemical, materials, and energy science since the early 1800’s; and Danisco’s Genencor division which since 1982 has been one of the world’s leaders in industrial biotechnology. DDCE combines DuPont’s expertise in biorefinery design and engineering, pretreatment chemistry, and mixed-sugar fermentation with Genencor’s expertise in biomass enzymes and low-cost biocatalyst production. The company says that its integrated solution will include everything necessary for biomass feedstock handling and preprocessing, pretreatment, onsite biocatalyst production, enzyme hydrolysis, mixed sugar fermentation and advanced downstream separation of fuel grade ethanol. In October 2008, DDCE broke ground on a demonstration plant in Vonore, Tennessee, which began operations in January 2010. The plant is expected to have a capacity of 250,000 gallons of cellulosic ethanol annually using corncobs and switchgrass as feedstock DDCE has also entered into a deal with Genera Energy, LLC in TN to supply switchgrass as a feedstock for the demonstration plant. Green Tech America, Inc. (GTA) is developing and commercializing an innovative yeast-based cellulosic ethanol technology that was pioneered by Dr. Nancy Ho at Purdue University. The company’s business model is to optimize the performance of Dr. Ho’s Cellulosic Ethanol Yeast Technology, to establish what they call a “blueprint” for cellulosic ethanol production, for licensing to other ethanol producers. Dr. Ho’s research has focused on the use of a three-gene cassette encoding enzymes that catalyze the metabolism of xylose: by transforming these genes into ethanol-fermenting yeast strains, the goal is to create high performing strains that can co-ferment glucose, xylose and perhaps other sugars to ethanol. According to the company’s website, much of the recent research has focused on finding superior yeast strains which could be engineered for this purpose. GTA will also work with Purdue to engineer the yeast to produce important industrial products that can be produced alone or co-produced during ethanol production, using both grain and cellulosic biomass as feedstocks. Glycos Biotechnologies, Inc. is using biotechnology to produce high-value fuels and chemicals from what it calls disadvantaged but sustainable feedstocks. The Company’s portfolio of microorganisms produce a variety of high-value chemicals from carbon sources contained in a diverse set of feedstocks and co-products, such as glycerin, gums, fatty acids and crude extracts from animal and plant sources, that are traditionally considered low value or underutilized. The company’s technology also works equally well with oil from algal sources; with the addition of biodiesel glycerin these diversified materials align well with our non-foodstuffs feedstock – microorganism development strategy. GlycosBio has discovered a biological process to convert feedstocks that contain glycerin, such as the thin stillage or condensed syrup from the existing ethanol production process that can immediately be leveraged to provide existing ethanol plants access to advance ethanol as well an ability to create new profit streams from the glycerin embedded in the existing thin stillage located at the plant. When working with a carbon source such as glycerin, the company engineers metabolic pathways using non-pathogenic microorganisms, creating microbial strains that are very efficient in converting glycerin to chemicals like ethanol, succinic acid, propanediols, and lactates. These strains may be further improved using additional selective pressure. Mascoma Corporation has aggressively pursued the development of Consolidated Bioprocessing (CBP) technology across a range of cellulosic feedstocks. In nature, there are few strains of yeast or bacteria capable of directly and efficiently producing ethanol from cellulosic biomass. Mascoma’s technology uses yeast and bacteria that are engineered to produce large quantities of the enzymes necessary to break down the cellulose and ferment the resulting sugars into ethanol. Combining these two steps (enzymatic digestion and fermentation) significantly reduces costs by eliminating the need for enzyme produced in a separate refinery. In May 2009, Mascoma announced several research successes, including achieving production of nearly 6% wt/vol ethanol by an engineered thermophilic microorganism; the metabolic engineering of a cellulose-fermenting thermophile, Clostridium thermocellum, leading to reduced production of unwanted byproducts; and a 3,000-fold increase in cellulase expression by a cellulytic yeast strain. In December 2008, Mascoma began creating ethanol from cellulosic biomass with positive results at its demonstration facility in Rome, New York. The company, in collaboration with its commercialization subsidiary Frontier Renewable Resources, is in the process of financing its first full-scale ethanol facility in Kinross, Michigan, with funding assistance from the State of Michigan. The company plans to break ground on that facility during the first half of 2010. Mascoma has corporate partnerships with Marathon Oil Company and General Motors Corporation, and recently entered into a feedstock processing and lignin supply agreement with Chevron Technology Ventures (CTV), a division of Chevron U.S.A., Inc.
Microbiogen Australia Pty Ltd. uses advanced breeding and genetic techniques to generate a range of non-genetically-modified yeast strains for industrial purposes. The company’s purely non-GM approach is based on the observation that natural strains of S. cerevisiae can produce microscopic colonies using xylose as a sole carbon source, provided they can be incubated for long enough periods (1-2 months). This observation directly contradicts established scientific dogma that Saccharomyces cerevisiae cannot grow at all on xylose, and the company has used natural breeding strategies to generate new strains of yeast with dramatically improved ability to grow on xylose. Using these strategies, doubling times of yeast have been reduced from over 140 hours to approximately three hours which is only modestly more than the doubling time on the preferred sugar glucose. These strains have potential applications in a number of areas including ethanol production, high quality animal feed, baking, yeast extracts, enzymes, antioxidants, and waste stream management amongst others. The yeasts developed by Microbiogen have basic industrial characteristics not found in other organisms, such as ethanol tolerance, lack of nutrient requirements, acid tolerance, immunity to viral infection, and high quality protein. In September 2009, Microbiogen announced a non-exclusive collaboration agreement with PureVision, an American renewable technology developer, under which Microbiogen’s non-GMO yeast organism will be utilized by PureVision’s cellulosic biorefinery and fractionation technology to produce both biofuels and protein products (food and feed) from biomass. According to its website, Promethegen Corporation is a biotechnology company using metabolic engineering to develop technologies for the production of biofuels and chemicals from renewable resources. Specifically, the company has licensed a portfolio of patents developed at MIT and elsewhere, to use metabolic engineering to allow greater amounts of biomass to be turned into ethanol or biodiesel fuel, while reducing waste, As reported in the trade press, Promethegen’s approach includes using genetically altered microbes that enhance the biomass fermentation-to-fuel process. The targeted biomass can be composed of a wide variety of organic matter, such as sugar cane or corn, cellulose or wood waste. The company’s business model includes selling both the microbe technology and processes connected with the conversion, with the goal of selling the company’s highly productive microbes and process improvements to the existing ethanol and biodiesel production plants instead of trying to build its own facilities. Qteros is developing cellulosic ethanol technology in a one-step, biomass-to-ethanol conversion process using a unique microorganism called the Q Microbe™. The company’s history dates back to 1996, when University of Massachusetts microbiologist Dr. Susan Leschine and her lab assistant, Tom Warnick, discovered a novel microbial strain near the Quabbin Reservoir in Western Massachusetts, later named Clostridium phytofermentans, as a novel microbial species. Known today as Q Microbe, this species is reportedly able to digest all types of cellulose and the ability to convert that cellulose directly into ethanol. The Q Microbe can overcome the recalcitrance of cellulose to release the sugars deep within the plant cell wall, enabling the company’s proprietary Complete Cellulosic Conversion (C3) process to simplify and dramatically improve the economics of the equation. The Qteros technology eliminates the need for a separate enzymatic breakdown step that also broadens pretreatment options. The Q Microbe breaks down a wide variety of plant materials, including corn residues, cane bagasse, woody biomass, cellulose waste, and more, degrading these feedstocks to create C5 and C6 sugars which are then fermented into ethanol. The microbe can be engineered to optimize ethanol output from a specific plant material, increasing net energy yield for the whole system. In October 2009, the company broke ground on a $3.2 million pilot plant that will be located in Chicopee, Massachusetts. Although the company’s initial commercial plans involve only the use of the naturally-occurring Q Microbe, it has recently reported that it is beginning to investigate the use of biotechnology to enhance the activity of this strain. TMO Renewables Limited is a company that uses thermophilic (literally heat-loving) organisms for ethanol production. In fact, the company’s name, TMO, stands for “thermophilic micro organism” – the bacterial ethanologen at the core of the company’s revolutionary process. This organism can exist at high temperatures and can digest a wide range of feedstocks very quickly. TMO’s process exploits these traits to produce ethanol from any cellulose-based material, in a highly-economical way that the company says is more-or-less carbon neutral, and which enables more efficient use of agricultural land. The company anticipates that its technology will have commercial applicability in two distinct stages. The immediate application of the technology would be to retrofit it onto an existing corn ethanol plant, to significantly increase the producer’s margin because the process will require a wet feedstock, which eliminates drying costs of the feedstock. The second phase of commercial applicability will come from the use of the company’s microbial strains with a whole range of different cellulosic feedstocks – most notably, perhaps, to domestic waste (paper, food) and to leftovers from agriculture and industry. These could include the straw from cereal crops, the burning of which is now largely prohibited in Europe. Verenium Corporation, formed in 2007 by the merger of Diversa and Celunol, is using proprietary and unique microorganisms to ferment cellulose and hemicellulose from multiple feedstocks into ethanol. Verenium’s technology is based on the metabolic engineering of microorganisms and the company has a set of genetically engineered strains of bacteria that are capable of fermenting essentially all of the sugars released from many types of cellulosic biomass into ethanol. Two of these strains are believed to be the first genetically modified microorganisms to have been reviewed and cleared for commercial ethanol production by the U.S. Environmental Protection Agency under the agency’s biotechnology rules. Much of the company’s original work on cellulose-degrading microorganisms was based on the research of Dr. Lonnie Ingram of the University of Florida, which the company has licensed from the university. The Company possesses integrated, end-to-end capabilities in pre-treatment, novel enzyme development, fermentation, engineering, and project development and is moving rapidly to commercialize its proprietary technology for the production of cellulosic ethanol from a wide array of feedstocks, including sugarcane bagasse, dedicated energy crops, agricultural waste, and wood products. Verenium is also pursuing large-scale industrial opportunities for products derived from the production of low-cost, biomass-derived sugars. Verenium operates one of the nation’s first cellulosic ethanol pilot plants, an R&D facility, in Jennings, Louisiana and is now optimizing its 1.4 million-gallon-per-year demonstration-scale facility. Verenium has formed a 50-50 joint venture with British Petroleum to develop and commercialize cellulosic ethanol from nonfood feedstocks in the United States, which is now operating under the name Vercipia Biofuels. In addition, the Company’s process technology has been licensed by Tokyo-based Marubeni Corp. and Tsukishima Kikai Co., LTD and has been incorporated into BioEthanol Japan’s 1.4 million liter-per-year cellulosic ethanol plant in Osaka, Japan — the world’s first commercial-scale plant to produce cellulosic ethanol from wood construction waste. D. Glass Associates, Inc. is a consulting company specializing in several fields of biotechnology. David Glass, Ph.D. is a veteran of nearly thirty years in the biotech industry, with expertise in patents, technology licensing, industrial biotechnology regulatory affairs, and market and technology assessments. This blog provides back-up and expanded content to complement a presentation Dr. Glass made at the EUEC 2010 conference on February 2, 2010 entitled “Prospects for the Use of Genetic Engineering in Biofuel Production.” The slides from that presentation are available at http://www.slideshare.net/djglass99. In this entry of the blog, I’ll discuss the companies that are using biotechnology to improve microorganisms that are used to produce ethanol (typically cellulosic ethanol). This is one of the industry sectors that has the longest history and also where the greatest amount of biological research has been carried out over the years. The production of ethanol for fuel use is of course an extension of long-practiced methods of fermentation used for food and drink since antiquity. Mankind first discovered the phenomenon of fermentation thousands of years ago, in noticing that liquids derived from various kinds of plant matter such as the juice of fruits would over time become transformed into substances having very different properties and tastes. This phenomenon was ultimately domesticated for the production of wine, beer, other fermented beverages, as well as foods like cheese, yogurt, and preserved foods, although the microbial basis for this process was of course not understood until fairly recently (i.e. the mid nineteenth century). Because of this long history, and the accumulated biological and engineering knowledge relating to ethanol fermentation, it was only natural that various industrial uses for ethanol would be investigated, including its use as a fuel or gasoline additive. Ethanol was first used as a transportation fuel in Brazil in 1975 and in the U.S. in 1978 (in the form of a 10% blend then known as “gasohol”), and received a great deal of attention in those years due to the oil embargo and gasoline crisis of 1979. Although interest in ethanol as a fuel died down once the price of gasoline began to decline, this initial spike of interest coincided in the U.S. with the development of recombinant DNA research tools and the subsequent growth of the commercial biotechnology industry, and so speculation about the ability of genetic engineering to improve ethanol production dates back to the very early years of the biotech era. One of the first government reports on the industrial and commercial potential of new genetic technologies, the April 1981 report by the (now-defunct) Congressional Office of Technology Assessment entitled “Impacts of Applied Genetics: Micro-Organisms, Plants and Animals” included as one of its appendices a lengthy case study on how genetics might improve production of ethanol (see page 293 of this report, at Google Books). I worked at one of the earliest biotech companies to spring up in Cambridge, Mass. beginning in 1981, and improving yeast strains for enhanced ethanol production, particularly by imparting the ability to degrade cellulosic feedstocks, was one of several early projects we contemplated. I go into this long introduction to make the point that scientists have been trying to enhance microbial production of ethanol for a long time, even predating the biotech revolution in the 1970s. To be sure, advances of various kinds have been made over the last three decades, but the fact that the problem is not yet “solved” and that many researchers are still tackling the problem indicates the inherent limitations and difficulties that are being faced. One limitation is the fact that while some fermentation organisms have evolved, acquired or been selected for the ability to survive and thrive at high ethanol concentrations, most other microorganisms cannot tolerate such high alcohol levels, so improving fermentation efficiency enough to significantly increase ethanol concentrations in the fermenter may wind up killing the production organisms. With some exceptions, this means that most bioethanol genetic engineering takes place in host microbial strains that are already capable of fermenting sugars to ethanol and in tolerating relatively high ethanol concentrations. The challenge has been to have these species express other enzymes and pathways that, for example, enable the degradation of the complex celluloses, hemicelluloses, and lignins found in cellulosic feedstocks. Although the historical progress of research in this field has been slow, it is likely that cellulosic ethanol will be the first sector of the biofuels industry to see the widespread use of genetically modified or engineered microorganisms. This is true for several reasons. First, many of the companies in this sector of the industry have had a “head start” – companies like Verenium and BioEnergy have been pursuing microbial approaches to cellulosic ethanol production since the 1990s, and all the companies in the sector benefit from the long years of prior research. Second, many of these companies are working with host organisms (e.g. E. coli, various yeast species) that are well studied, with well-known characteristics and safety profiles, and with well-worked-out methods for large-scale fermentation. Third, there is an existing, growing, industrial infrastructure for the production, transportation and sale of ethanol produced by fermentation of biomass, and the existing manufacturing facilities and other commercial infrastructure can be used for processes involving modified microorganisms with little or no modification. Finally, the ability of U.S. producers to meet the very ambitious levels of ethanol manufacture mandated by federal law (the Renewable Fuel Standards), and to do so without overly relying on food crops such as corn, would seem to depend on the availability of technological breakthroughs to enhance the efficiency and output of ethanol production or to broaden the range of non-food feedstocks. These are problems which can be addressed using genetic engineering. There are some reasons to be more cautious in forecasting widespread use of modified microorganisms in ethanol production, although most of these reasons have to do with the current standing of ethanol within the renewable fuels world. In short, ethanol has gotten a bad rap lately. Because of continuing concerns that significant increases in biomass production of ethanol will lead to either deforestation or crop shortages accompanied by commodity price increases, and because of reports that ethanol production may require more energy than it produces or that it has an unfavorable carbon footprint, many observers are skeptical that ethanol will have a long-term role to play in the universe of renewable fuels. Many have written off corn ethanol for exactly these reasons, and while cellulosic ethanol produced from non-food crops overcomes some of these concerns, other concerns are of a more general nature and to they extent applicable, they may limit the usefulness of ethanol as a fuel. On the other hand, the types of genetic improvements being contemplated by this sector of the industry, perhaps coupled with use of the genetically engineered plant feedstocks I’ll discuss in a later installment of the blog, could provide the technological push to overcome unfavorable economics, energy balance or carbon footprint. The following table lists the companies that that are developing engineered or modified microorganisms for the production of ethanol. Brief profiles of these companies will be posted in “Part 2” of this blog post. Several of these companies are also developing other fuels, and those marked with asterisks will be profiled in later sections of the blog. I’ve just returned from the EUEC 2010 conference in Phoenix, where I presented my paper on the prospects for use of biotechnology in biofuel production. Slides from my presentation are posted at www.slideshare.net/djglass99. I’ll soon resume my blog postings of more detailed discussion of the topics I presented at the talk, beginning with company profiles and industry sector analyses. But for now, I’m writing with brief summaries of some of the other presentations I attended in the Biofuel Track of the EUEC conference. The talks I attended on Monday, February 1, the first day of the conference, all dealt with the use of algae in biofuel production. Dr. Joel Cuello, a professor at the University of Arizona, spoke about research conducted by one of his graduate students, Michael Mason, in designing photobioreactors that are optimized for large-scale culture of algae. This talk addressed the significant problem that biological production processes that are feasible at laboratory (“bench”) scale are often difficult to replicate under economical conditions when scaled up to the much larger volumes needed for commercial production. Dr. Cuello outlined several of the factors that must be taken into consideration when scaling up, including supply of carbon dioxide, availability of light, supply of nutrients for the algae, but his research has shown the critical factor to be the rate of hydrodynamic mixing – that is, that at larger scale, it becomes more of a challenge for the nutrients and algae to diffuse through the growth medium to a sufficient extent so that they can come into contact with each other. His research involves defining the optimum conditions for hydrodynamic flow at the desired scale and evaluating how well existing reactor designs meet those conditions. He has used this research to create several optimized designs for larger-scale algae photobioreactors. Stanton Barnes of Bioalgene spoke about his company’s work in designing and operating algae ponds that made use of carbon dioxide from dense industrial waste streams as a feedstock for algal growth. Barnes said that the company gave considerable thought to the economics of using algae to produce biofuels, and came to the conclusion that cost savings or enhanced revenue recovery needed to be sought at all stages of the process. They first concluded that the cost of building and operating contained photobioreactors was too high to enable profitable operation of the plant, and so the company instead decided to use open ponds, a common method of cultivating algae for various industrial purposes. Cost-saving approaches were implemented at a plant the company operates in Boardman, Oregon. This facility has been sited near an industrial plant, enabling the company to pipe high-density flue gas from the plant directly in to the algae pond. The company also uses waste products from a nearby cattle feeding operation as nutrients for algal growth, and seeks further economic gains from reaping financial return from commercial use of certain byproducts of the process (e.g. using the algal biomass for fish feed). The company’s economic calculations also factor in the carbon credits that would be available from capturing carbon dioxide waste streams. In other talks in that afternoon’s session, Professor Mark Edwards of Arizona State University gave a good overview of many of the potential industrial uses for algae, over and above biofuels. He too recommended locating algal production facilities near a source of carbon dioxide, even a facility where biomass is burned for energy production. He also stressed that, in his view, the rate limiting nutrient for algal growth is phosphorus, rather than any of the other nutrients. I was glad to see at least these two speakers discuss the possibility of combining algal biofuel production with carbon capture strategies in order to make use of carbon dioxide waste streams as a feedstock for the algae, because I feel this is one of the more intriguing “diversification” strategies I’ve seen in the market, and perhaps one of the better approaches to enable algal-derived biofuel production to be cost-effective and profitable. The final talk of this session was from Klaus Ruhmer of BDI-BioDiesel International of Austria, a company which has designed and/or built 30 biodiesel plants since the early 1990s. In his talk, Ruhmer provided a historical overview of biodiesel approaches that have included use of what he called “lower quality feedstocks” such as used cooking oil or trap grease, and he also discussed current state-of-the-art technology for biodiesel production. Ruhmer also discussed several issues he felt were critical for the next generation of biodiesel plants, including the need for plants to be flexible enough to utilize multiple feedstocks (which he dubbed the most important issue), the need to pay attention to the quality of the fuel produced, and the importance of obtaining economic value from the byproducts of the production process. The talks in my session on Tuesday morning, February 2, touched upon a wider range of topics in biofuel production, primarily relating to use of biomass as a feedstock for production of ethanol or other fuels, and with particular emphasis on the commercial and economic factors affecting such uses. Mark Riley, a professor at Arizona State University, discussed his research on the use of sweet sorghum as a potential feedstock for ethanol production. This species was originally developed as a sugar source, and Dr. Riley’s research has focused on the use of the sugar-containing juice from this plant as a direct feedstock for ethanol production. Use of the juice, as opposed to the plant biomass, has the advantage of not requiring degradation of starch and other complex molecules from the plant biomass, and in addition the juice is potentially easier to transport than harvested biomass. Kate Elliott of DNV Climate Change Services gave an interesting presentation on the market and economic trends that affect the growth of cellulosic biofuels in the major world markets of the U.S., Europe and Brazil, including the impact of governmental policies in these markets, various technological and other challenges arising at various points in the biofuel value chain, and the need to fully document the benefits of biofuel use, including impact on greenhouse gas emissions. Dr. Vance Morey of the University of Minnesota spoke about the use of biomass for combined heat and power generation at ethanol plants, comparing the outputs and carbon footprints of different technical approaches. And finally, Shahrzad Badvipour presented research from her Master’s thesis at Arizona State University on life cycle assessment analyses of processes for biodiesel production using waste cooking oil as the feedstock. Although I had to leave the conference shortly after my session, I enjoyed the interactions with others in the Biofuels Track, and I appreciated the opportunity to make my own presentation.